Our meetings will be on Wednesday nights, beginning on September 26. We will begin at 6pm in the Church for an exciting large group introduction to our week's topics. We will then move to grade-level meetings from 6:30-7:30pm in the school's classrooms. We will use Our Sunday Visitor's Alive in Christ, which has amazing online materials for families to use as well. 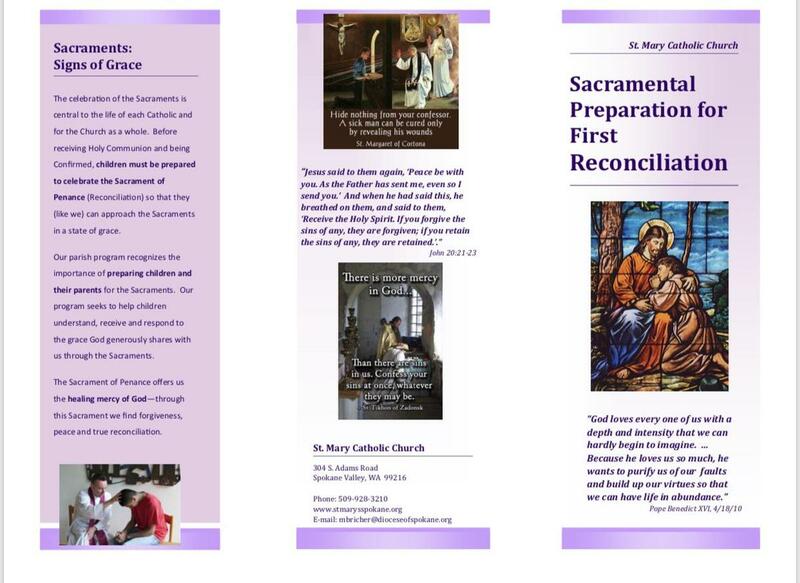 Do you have a child 2nd grade or older who is ready to prepare for their First Reconciliation? We are so excited to begin our preparation classes on Sunday, February 10th! Our joint sessions for children and their parents are from 10-11am in the Mary/Martha room (children) and Youth Center (parents). We will meet for 7 total sessions and one family retreat. For more information and to register please see the brochure below and registration form. They are also available in the parish office and the gathering space. For any questions, please contact Marie Bricher at (509) 928-3210 ext. 111 or mbricher@dioceseofspokane.org. 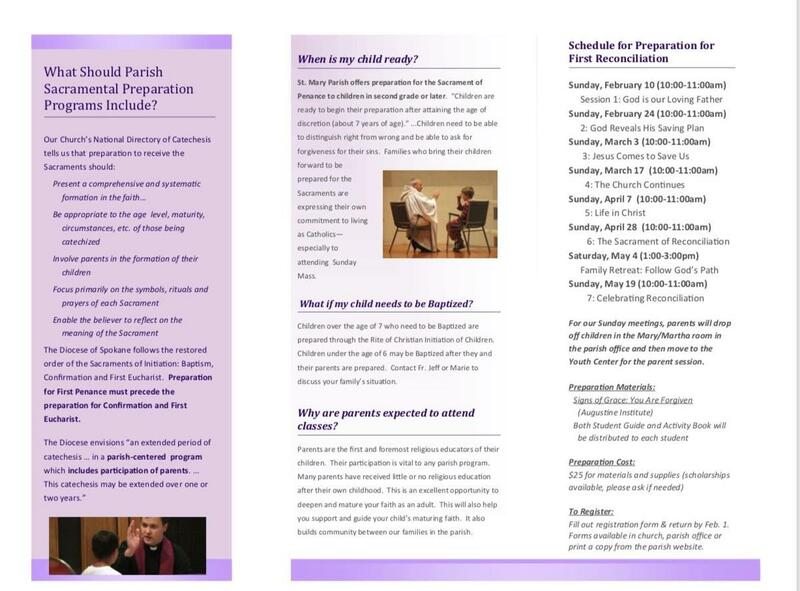 Click the link below to download the form for Children's Religious Education or Sacramental Preparation. Please fill it out, include the religious education fee and place it in the collection basket, drop off or mail it in to the parish office. Thank you!